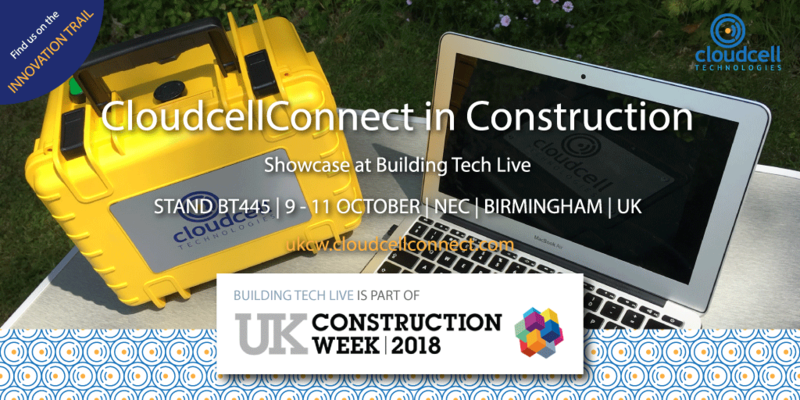 ​Winchester, United Kingdom, 3rd September 2018: Cloudcell Technologies are pleased to announce that we will showcase the CloudcellConnect platform to the construction industry at UK Construction Week 2018, the UK’s largest built environment event. The CloudcellConnect platform enables construction firms of any size, to rapidly connect remote site and sales offices to their corporate network or the internet, and provide a remote site network and business telephone solution. Recognised for its innovative exploitation of SDWAN technology, CloudcellConnect is part of the show’s Innovation Trail and can be found at the Cloudcell Technologies stand, BT445, in Building Tech Live.